The Candela Smoothbeam™ is an exciting new laser technology. The laser uses a combination of skin heating and cooling to selectively heat the middle layer of the skin. By heating that layer (the dermis), it is possible to gently treat a variety of skin problems. The laser is FDA approved to treat wrinkles, acne and acne scars. 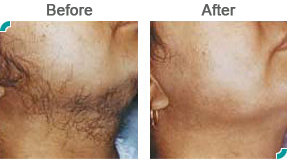 In addition, the Smoothbeam laser has been reported to improve sebaceous hyperplasia and other skin problems. One of the benefits to the Smoothbeam laser is the low chance of side effects. The most common side effect is mild redness in spots lasting about a few hours. Rare side effects can include blistering or color changes. 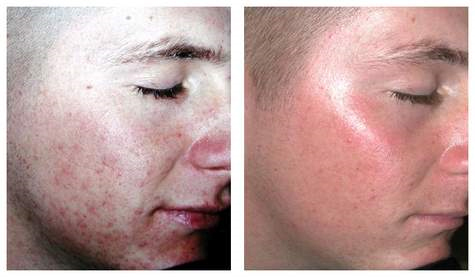 Scarring is extremely rare, but possible with any treatment of the skin. Even though the laser is cutting edge technology, there is a chance it may not sufficiently treat your skin problem. Call us from more information 909-949-7500. The Vbeam® pulse dye laser by Candela has been a gold standard laser treatment for vascular conditions for over 20 years. The most versatile of the Vbeam lasers, the Perfecta treats a remarkable array of skin conditions, from red and brown discoloration to vascular and pigmented lesions to wrinkles and acne and beyond for dramatic skin rejuvenation. Treatment with the Vbeam Perfecta is fast, safe, effective and comfortable, thanks to a large spot size and a patented Dynamic Cooling Device (DCD™). Combined with Perfecta's advanced micro-pulse technology, the DCD prevents post-treatment bruising and offers patients little to no downtime after treatment. Forget shaving, waxing, tweezing and electrolysis – Intense Pulsed Light (IPL) technology provides long-lasting hair removal on any area of the body. IPL photoepilation uses high-energy pulses of light to remove unwanted hair from the face, back, legs, bikini line and other areas without damaging nearby tissue. First, a cold gel is applied to the skin. Then the IPL handpiece is moved back and forth across the selected area. Hair beneath the skin surface absorbs the light and heats up, loosening from the follicles and eventually falling out. Patients can return to work and all regular activities immediately after the procedure. Hair begins immediately and is long-lasting, with some permanent thinning. Several treatments may be desired for optimal results. Made by Lumenis™, the same company that pioneered Intense Pulsed Light (IPL) technology, the LightSheer™ diode laser is considered the industry "gold standard" in achieving permanent hair reduction. The LightSheer laser works on a range of hair colors and all skin types, including tanned skin, and has been proven to improve the appearance of razor bumps, benign pigmented lesions, sun damage and superficial leg veins in addition to removing hair. An innovative cooling device on the end of the laser wand soothes the skin after each pulse of light, ensuring that treatment is nearly pain-free. Photo Credit: Dr. Nimish Patel, M.D., Ahmedabad, India, Christine C. Dierickx, M.D., Valeria B. Campos, M.D., R. Rox Anderson, M.D. The IPL Photofacial handpiece is gently pressed to the skin and painless pulses of light are emitted. Usually 2-3 treatment sessions lasting about 20 minutes each will provide you with beautiful results. There is no recuperation time - with an IPL Photofacial you can return to work or resume your normal activities on the same day. You will notice a gradual, natural-looking improvement in your skin with time. IPL is a safe solution tailor-made to your skin type and condition.